I welcome you to listen to the message below and share your comments! "Dear, you will know when you remember this experience on Earth when you remember your Earth life while you are here. Be patient with yourself. It is very difficult to live two realities at once, and your Higher Self will determine when you are ready." Higher Self? What is she talking about? Does she mean that there is even more of me than my waking and sleeping self? I am even more confused now than I was before I asked the question, but now I must enter the circle. I hope I can remember to ask her about that "Higher Self". I am entering the circle and, as I do so, I feel like I am coming Home. The two dear Ladies appear as if from nowhere and lovingly release another veil and I hear the voice of Lady Leto. It appears that she, too, heard my question as she says, "Last evening the work was very deep and you were unable to carry any of it to your outside mind. Know that seeing the connection between the inside and the outside is sometime dependent on your fortitude. In this case, it was better not to remember the night's work so that you could rest. “This evening the Ladies have lifted the ‘Illusion of Questioning.’ To question is to feel the separation between yourself and the ultimate source. To question is to put one's consciousness into human consciousness to ask of a higher or another source. On this side of the veil, we are living in a constant state of knowing. All divine information is readily within our grasp and we easily attune to whatever is appropriate. Also, on the spirit level, we are not bound to attune to only one thing. I can personally attend to you while I can, just as personally, attend to all others who are also calling me this day." As the veil is given to the Brother, Hilarion speaks, "I can see, my one, that you are 'questioning' this concept. This, of course, is part of the reason why you were unable to bring forward any of the work of last evening. I will try to explain this to you. To you particularly, questioning has been an important part of your growth. Questioning is a lot like wanting. Wanting denotes that you do not already have and this wanting pulls one out of the cosmic flow of All in All. Questioning acts in much the same manner. When you question, there is an underlying energy field that denotes that you do not already know. This separates you from the Universal Mind. "To release the ‘Illusion of Questioning,’ one would instead unify. When you unify with the Universal Mind, no questioning is necessary as your mind is united with the Universal Mind. Then the information desired can be collected just as it is ‘collected’ from your physical brain. Dear one, try not to question this concept, but rather take a moment to experience the difference. First, ask yourself a question, then unify. As you have seen, to question dissects your consciousness into individual words and concepts. To unify, however, opens you to all answers simultaneously." As the other Brothers take the veil, Apollo speaks, "The opposite polarity of questioning is understanding, because you do not have to question if you have grasped what was said. We have unified with your consciousness and, therefore, know exactly what you need us to say to you to further your understanding. How you found the courage to BE your SELF. 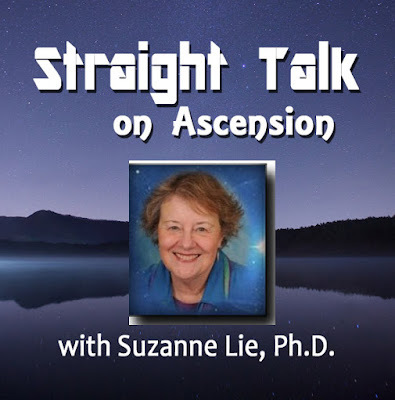 Thank you, Sue and the Arcturians. Feels good to release questioning to fully recognize the light and love mission and its grandeur. 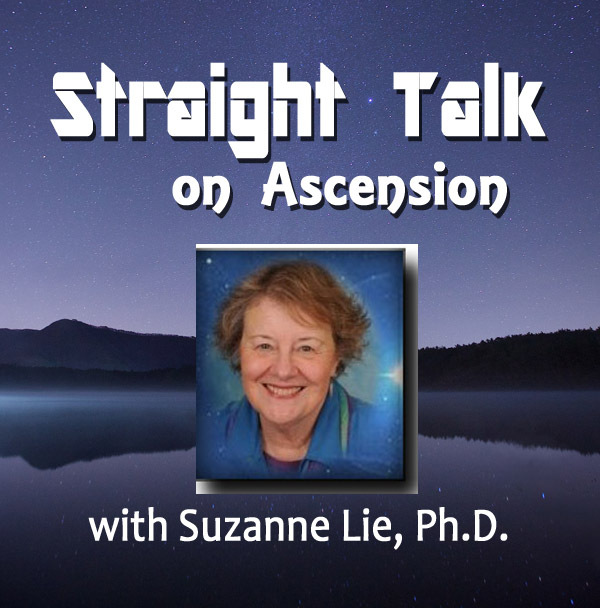 what is the relationship between traditional self-realization/enlightenment, and ascension .. I have been doing my version of the golden portal meditation that was given on or around 10/27/15 in Suzanne's blog. humanoid. I decided to join the circle between two beings that looked like large insects. I looked into the eyes of the male one on my right and smiled. He sent me a blast of love. I thanked him mentally, and he nodded. Then I looked to my left at a female being and sent her love. She started crying and said now I get humans. multidimensional experience I was having which brings me back to 3D. "How wonderful it is that we have this space where we can share what it is like on the other side. What it is like to hold that shift and the awareness and to look pass the changes? Now we are very lucky that we can share the global events together and so quickly connect and unite form all around the globe. We have the tools to keep on track with all the changes and upgrades. It has always been this way and has been always available to us but we couldn't see. Being here I can perceive my journey and how little I knew. Now I see, it was all the time available but I just didn't know that and that the shift has already happened. I couldn't see that it because there was so much happening around with so many different realities possible. I needed to work through the belief system and through my perceptions of myself and the reality around. It was necessary to strengthen the belief that the new is possible and that it has happened. This has been an incredible journey and a wide richness of experience. After the breakthroughs have happened I was able to see the limitations and barriers and what was stopping me and what was not in alignment with myself and the truth self. I was then able to move to the next step. I was able to step beyond the line. Although I was there briefly on many occasions, I didn't trust it could be permanent. Now I know it is. Often when we get so close to the line, we ought to face the biggest illusions which are to be dropped. It is worth it. What is it that we are clinging to? What is it that we do not share with others? What is it that we keep just to ourselves? Is there a power? Is there a key? I share what I experienced. May this be a thread for others to connect with the knowingness. Now I know, that there is a space in which it is possible to share any experience and not to look weird but to be accepted. Now I know that there were many unusual events and happenings which others didn't perceive but they were real in my experience. Now I know that I really went through that and came out of it. What is it like to be on the other side? It is to be in the knowing and believing about the shift. It is to perceive yourself as a beautiful being standing at the gateway of living your dreams and opening, unlocking those dreams for others. It is knowing the subtle differences, knowing that you can experience Joy, Peace, Balance and just be you, live your gifts, honour your journey and living the magnificent being you are. I honour you all who assisted me in that journey. I am seeing many timelines passing and I perceive and align with Peace, Love, Joy and Grace. Yes, this space/timeline has been atrociously disconnected from the FLOW of the ONE in the ever-present-NOW of Infinite ever expanding/contracting Creation. Such a mistake ....of disconnection, separation, and consequential fear has brought increasing amounts of excessive darkness like illness, death as a drama, etc. Our mission is also to re-open the Flow. We have infinite challenges and risks, but we have the best ally/confederate: the INFINITE SPIRIT/ALLTHATIS'. The frequency of the ONE is pushing and making a soft sure holographic pressure to re-enter, to regain also this part of ITs bodies/frequencies. The dark/lost ones have already lost with SUCH an opponent in unlimited expansion/contraction. OM. Out of divided time-space, we can always join and merge with the frequencies of the Here of the Now of the One whenever we so desire...Om. Q: Dear helper, how can you be so purely transparent in the midst of all these phenomena ...? A: My dear, I do not hold back anything. I do not cling to anything, yet not I draw anything, yet you can see i am actively present and aware here, too, and I can broadcast, pass, hold, improve countless frequencies, and do many more waves helpful to LIFE. What an exciting time to be walking across the threshold into higher frequencies of reality that are becoming more and more out of phase with the lower frequencies that aim to withhold our light and potential. Unconditional love, forgiveness, and violet fire become our way of life as we embrace and recognize the perfection of our true expansive selves. Let us celebrate our collective courage to radiate our true magnificent light.